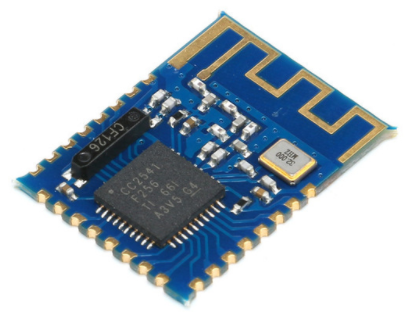 I recently bought a bluetooth LE module, the JDY-08. 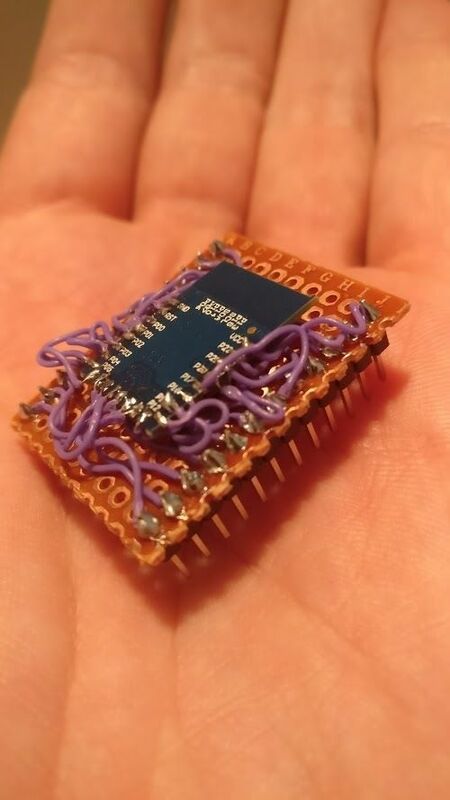 It is a very small module, based on the TI CC2541 chip. You can configure it with AT commands, on a serial line. And some documentation on a shared Google doc. 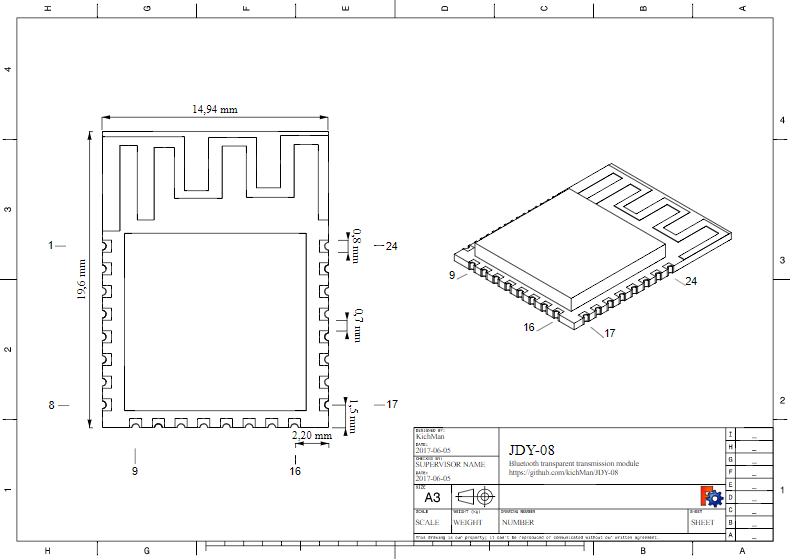 And finally, the chinese datasheet. 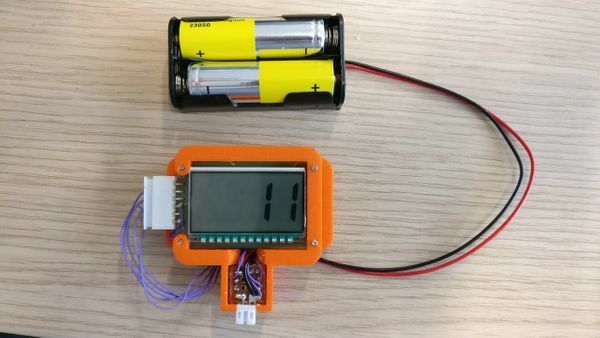 The module has to be powered by 3.3V. 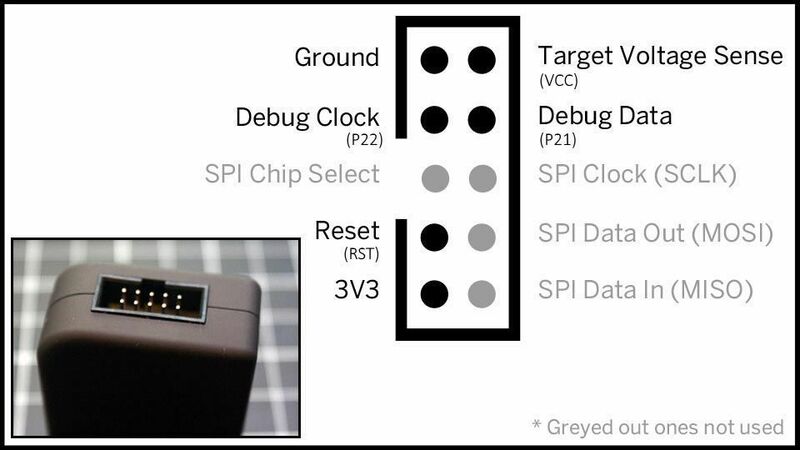 Warning: The firmware loaded by default on this module is not the same as on HM-10 or EY-08 modules, so the behavior is different. Don't send newline characters, the module will not uderstand the AT command. You have to write the whole command in one time, and not characters by characters (i.e. will not work in Putty). As the device doesn't have a 2.54mm pitch, I build a custom breakout board for developpement purposes. The firmware I have on one of my chip seems defective. 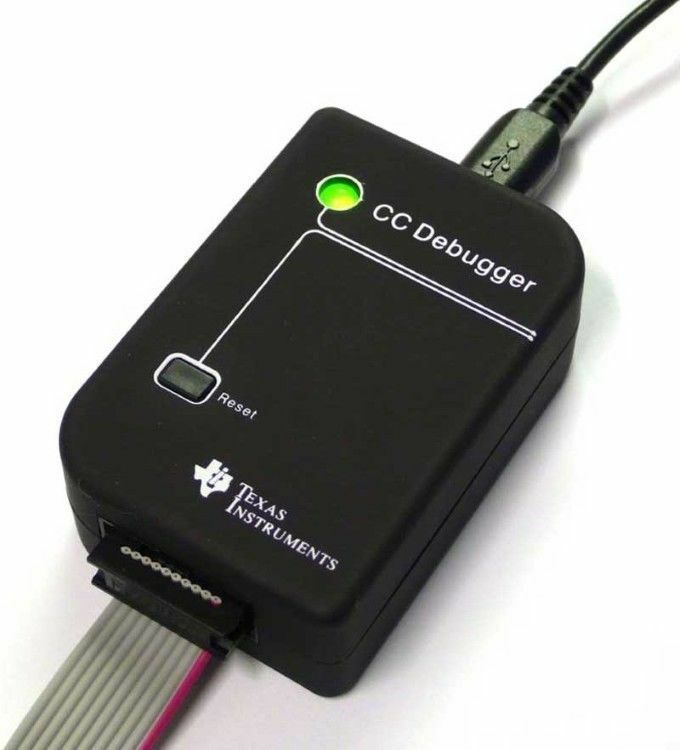 To be able to use it, I want to flash it with the HM10 firmware, based on the same chip (CC2541). 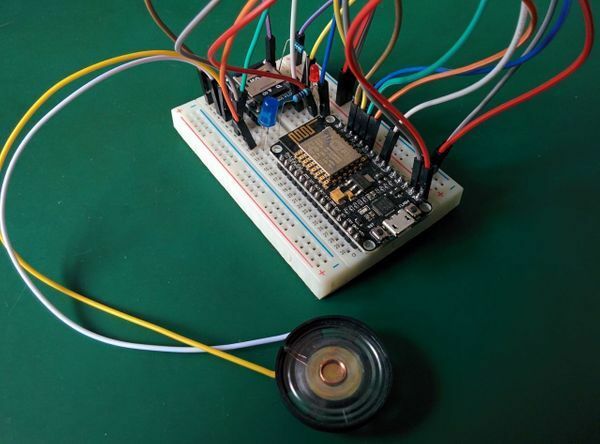 You can also do it with an arduino, but it's less simple. After powering the probe, the LED goes from red to green. 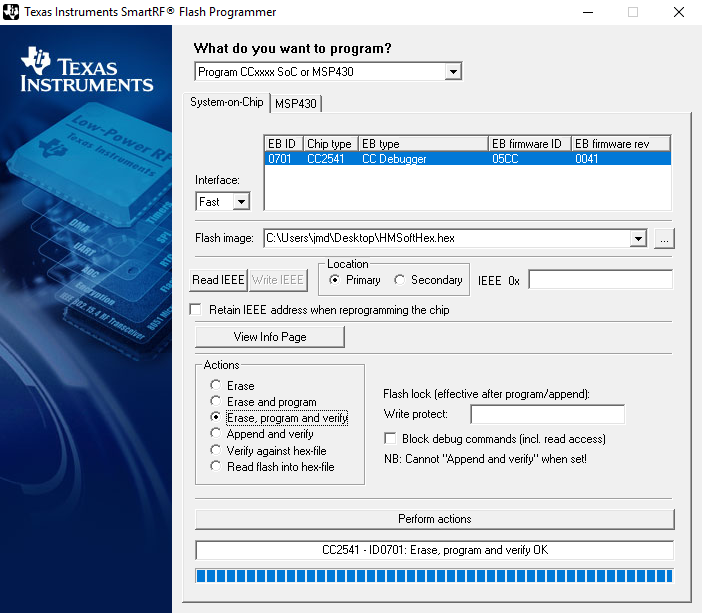 To flash the new firmware, you need to download the SmartRF Flash Programmer from TI, and the firmware V550 (CC2541hm10v550.hex) that I created (see at the end of the post) - or the V540 (CC2541hm10v540.hex). Select "Erase, progra and verify"
After that, you should already be able to see the device with your phone, named "HMSoft". 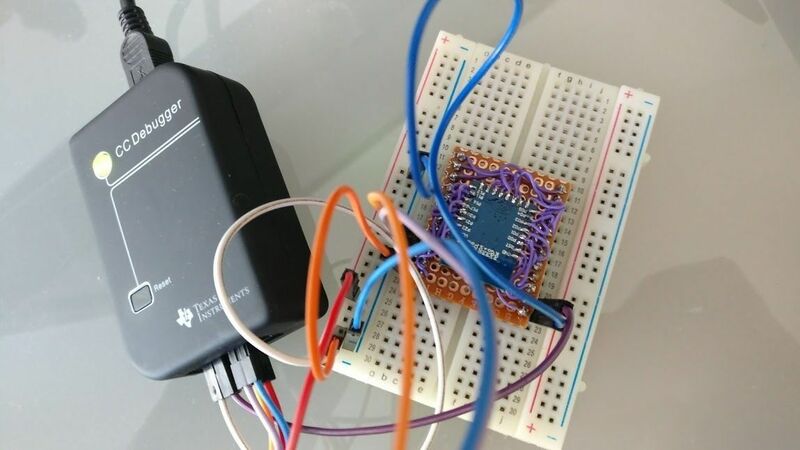 To send AT commands to the module through UART interface, the pin 09 (marked P13 on JDY-08, or the PIO0 on the HM-10) must be pulled down (GND) for at least 1 second after the board power on and after every bluetooth connection established. To test the command line, you can send AT (expected response OK) ou AT+VERS?. To reset factory settings, send AT+RENEW (expected response OK+RENEW). 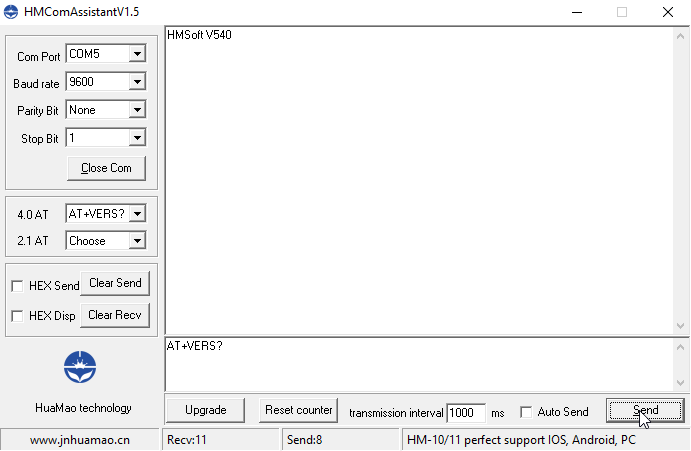 The software HMComAssistant.exe can help you to connect and exchange data with this firmware. 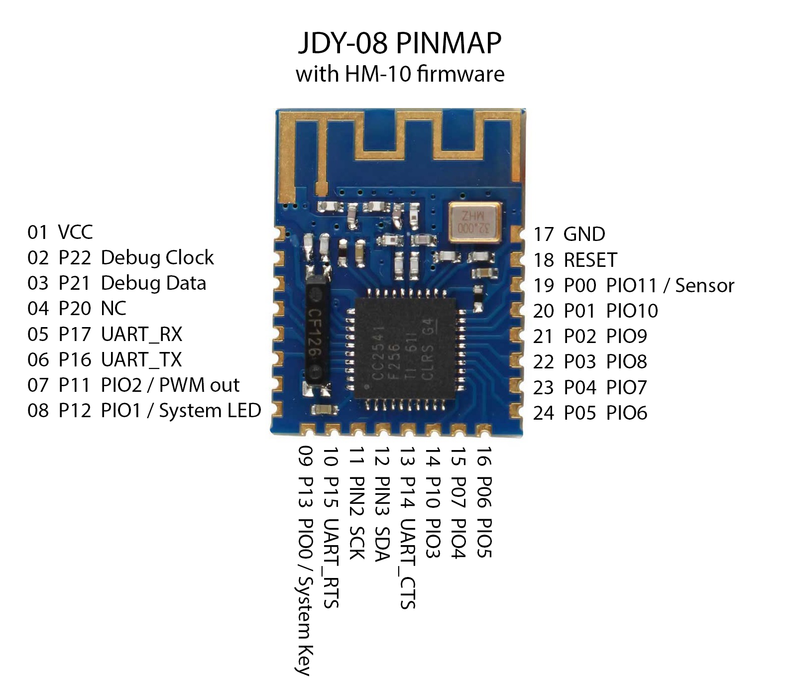 Once that a HM10 firmare has been flashed on the JDY08 module, you can upgrade the firmware with a serial connection. Select the new HM10 firmware file (bin), the COM port and click on "Load Image". The transfer should begin, and at the end, you should see "Download completed successfully". If found another file that seemed to work for some guys, named CC2541hm10v540.bin. With this file, I created a hex file (srec_cat.exe CC2541hm10v540.bin -Binary -o CC2541hm10v540.hex -Intel), and I flashed it as explained before. After that, I upgraded the firmware through serial port, with the last binary found on the manufacturer website (V550 the 2017-08-21). As I did not activate the read lock, I was able to read the new firmware and create the final HEX file for the V550.